The top Long Island wineries to explore are designed to offer stunning tasting rooms, unique events such as live music, and a lot of amazing picnic spots. If you are planning a trip to the top wineries in Long Island, you can rest assured that there is much fun awaiting you. And to add class and glamour to your wine tour, we will be delighted to arrange the perfect limo service in Long Island NY for you. Let us look at some exotic wineries you can explore in Long Island. The Rubin family owns this top-notch tasting room decorated as a 19th-century farmhouse. Located in Calverton, this vineyard attracts visitors from all over the world. If you want to enjoy the rich taste of the Red Velvet Bordeaux, this vineyard is the perfect place to be. It also features live music during the summer weekends and you can also be treated to a special visit to the corral to enjoy the view of the Baiting Hollow rescue horses. At Long Island Limo Rental, you can trust us to provide you with the perfect Long Island wine tours from NYC with our exotic limo service. You definitely will enjoy every moment of our service. Purchased by the film producer, Michael Lynne (in Lord of the Rings), this pioneering Cutchogue winery is one of the wineries where you can enjoy the rich taste of wine. If you are planning the Tour with a group of friends, our exceptional party bus wine tours Long Island is the perfect choice of transportation for you. We assure you of an experience like none other with our unique service. This stylish and warm welcoming tasting room is located in an antique potato barn in Cutchogue. It is not really a castle but the owners of the wineries, the Borghese family, is believed to have Italian noble roots. The winery features rotating, impressive art exhibits and so many other special events like the Sauvignon Blanc pairings, and Saturday Oyster. You can always entrust your transportation arrangement to us and with our cheap limo service Long Island, you can have the best limo service at an affordable price. If you are considering Long Island wine tour packages for 2, you can rely on our service to provide the best for you. We provide exceptional wine tour limo service packages Long Island to the various wineries, including the Channing Daughters. No doubt, this winery is the benchmark winery in Long Island. It is a relatively rare vinous outpost amidst the expensive South Fork acres of Bridgehampton. The Channing Daughter vineyards date back to the 1980s. When you take a tour of the spruce, terra cotta floored tasting room; you will have the chance to sip six different wines from more than two dozen varieties offered at the wineries. Jamesport is a high-quality small winery established by Ron Goerler Sr. and Jr. The winery is the perfect destination if you are looking for an exotic blend of Merlots, Syrahs, and Rieslings. The winery offers a laid-back atmosphere at its back lawn tasting area and amazing indoors in the 165 years old barn. You can enjoy beautiful live music on weekends as you enjoy the rich tastes of different wines. 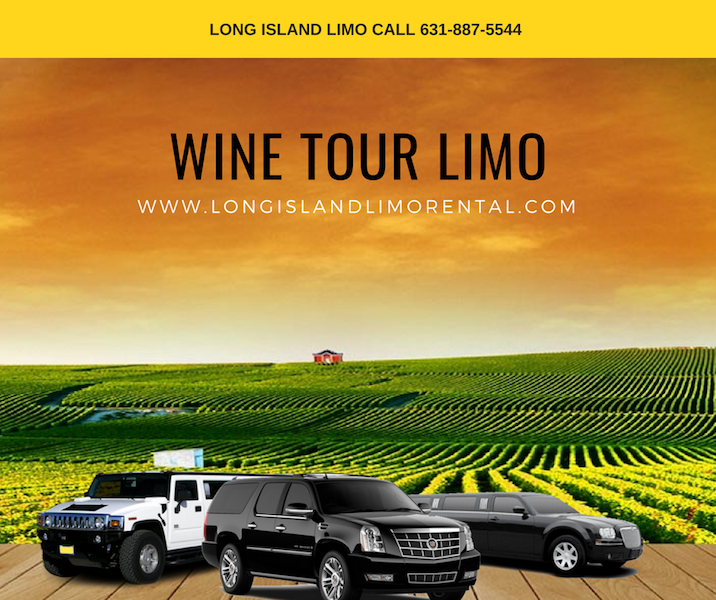 And if you are contemplating making a statement with your transportation arrangement to the winery, our best Long Island wine tours limo will be the perfect choice for you. Wherever you are, you can trust us to provide you with memorable Long Island wine tours with our exceptional limo service. We will be delighted to receive your reservation inquiries.